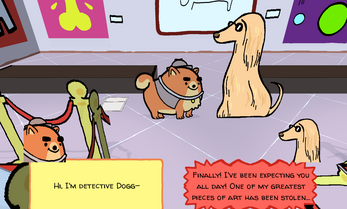 When R.Mutt's artwork is stolen from the museum and everyone seems suspicious, smelling is not enough to find the culprit. 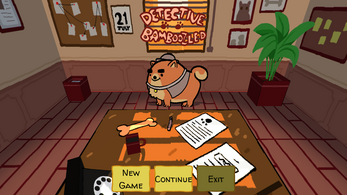 Help this good boy to solve the mystery while you contain your desire to pet him! - This version may have some minor bugs which are going to be solved this weekend. - In order to start a new game, select with the mouse, there´s a bug problem with Xbox Controller. - Even though the crime can be solved, there´s not a complete ending and is going to be fixed soon as well. - Thanks in advance for your understanding, we hope you enjoy the game despite the fact there are things to be fixed. - Now the game has an actual ending! After the player chooses the right options a new conversation will play, giving an end to the story. - We've changed and added some dialogues to make the story more consistent overall. There were a couple of things the player had to do that weren't very intuitive (like the crossroads minigame). - We've added some help messages that show on the top-right corner on the screen when some events are triggered (for example when you unlock a new localization). 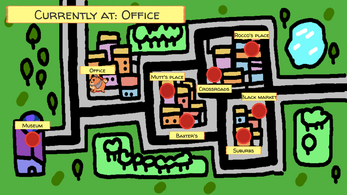 - We've fixed some minor bugs that took place in the crossroads. The map wasn't recording properly the player position after leaving the area and coming back. Download the zip file, uncompress and launch the .exe file. I had so much fun creating characters and funny voices out of your artwork and dialogue and it really added to my experience. My only complaint is that I wish there was a prompt to right click at the cross roads because it took me awhile to figure out that portion of the game but other than that I had a lot of fun with it. I hope you dont mind but I made a small gameplay video on it and if you got a chance to check it out id really appreciate it! Hi there! Thanks for the video, it was very funny seeing you roleplay the characters :). 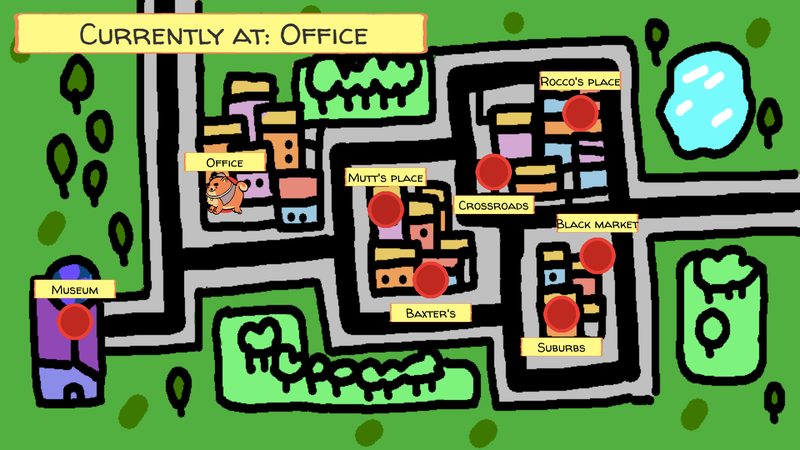 We had bigger plans for the smelling mechanic, but because of time reasons we couldn't really implement it as much as we wanted and we just left the "Finding Rocco" part, which feels a little weird but at least we made it in time! 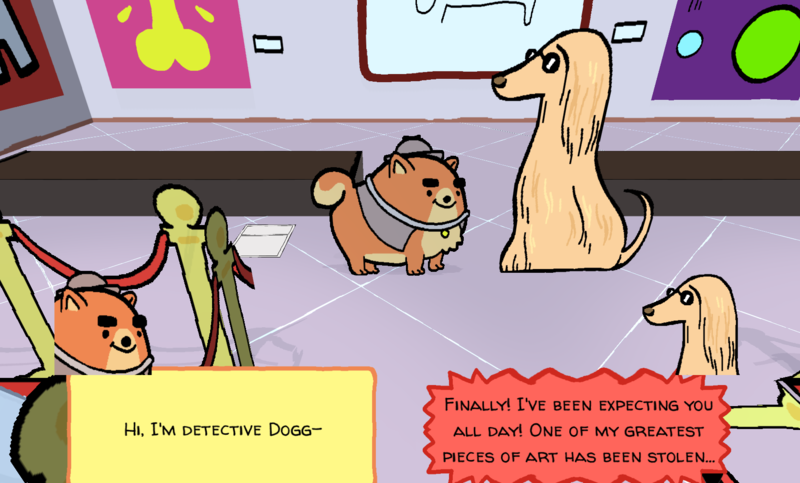 Also I agree the ending is a little confusing, we originally wanted to make all characters suspicious but then it is not really evident who did it (btw in Mutt's house you can inspect the stuff he has and you see everything is fake, and there are also scraps of paper in the garbage - if you ask them about them he answers kinda nervous, but yeah not very intuitive!). Artstyle and dialogues are really great. Unfortunately i got kind of lost at the crossroads. Loved the concept of tracing by the smell but would need a bit of polishing. Hi mitschoko, thanks for playing the game and your feedback! 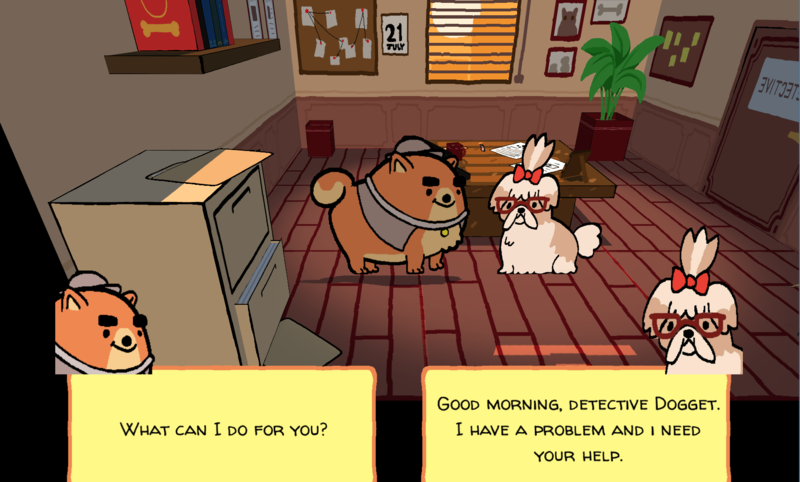 At first we wanted to make the smelling mechanic one of the main mechanics of the game, like having to smell other dogs to get info about them and stuff like that, but because of our daily jobs we couldn't make much of a progress during the week and we had to shorten the scope. In case you played the jam version, we made the post jam with some small fixes and changes to make it more intuitive (it's still not greatly intuitive, but it helped a little). Damn, this was so fun and so full of character! I love the character designs,so simple and so effective! I declare myself a slightly annoying fan. Mechanically it's not very innovative in the detective department, but it works really really well. Yeah, the mechanic are not one of the game's strenghts - we had big plans for the "smell-things mechanic", but we run out of time and we could only use it in the crossroads. It's one of our weak points actually, juicing the games and polishing the gameplay, but we're working on it. Thank you very much for playing and your feedback! We appreciate it. heckin bamboolzed on the crime heckin couldn't solve it. much wow!